I will begin with this one as it is by far the most popular Yant among foreigners. It is a Yant that encompasses every aspect of one’s life and it is for this reason it is so popular. Anjelina Jolie had this Yant on her shoulder as her first Yant. She has since received more. Represents 5 yant’s of magical spells. Yants are chants, or Kathas and the chants are performed, over and over to invoke a state of the mind. The mind can create magical spells onto the Yants. They are chanted 108 times (108 means a lot in Thai, it’s a saying) before entering the high level of meditation. Each one will be done individually and the following magical spells have been cast on each line described below. The Yant consists of five lines, each line representing a different area of one’s life. 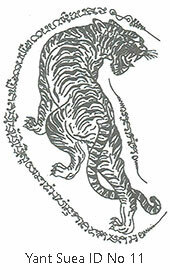 The tiger represents power, strength and authority. The tiger is an awesome creature and one that is feared and respected by all other animals that live in the jungle. This Yant is a favourite with Muay Thai fighters and soldiers alike. 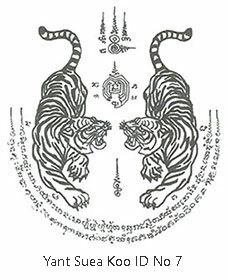 Many prefer twin tigers, with the Akara (Khom script) encompassing the lower half of the Yant. This Yant is said to also offer help in business dealings and is a favourite among entrepreneurs. Twin tigers represent more power, as would two tigers in reality. This one is a favourite for those seeking extra power in their lives. A Suea Hiaw lang, or “tiger looking back” represents protection from behind, as if something is watching your back. Most of the animal Yants have the attributes of that animal, the tiger has stealth, speed and power. This Yant is suitable for people with authority and respect. As well as giving the bearer a fearful aura, it also represents compassion and kindness. This Yant is said to be helpful in business negotiations, managing employees, finances and helps develop communication skills. It also protects against accidents or natural disasters. Apart from this, it is a very beautiful Yant. 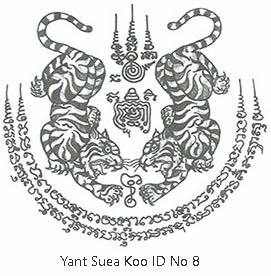 Thai people believe that those who are born in the year of the tiger are very strong by nature, and this Yant is often used to change a person’s life from bad to good. This Yant is most popular with military personnel, police, businessmen and politicians. It is said that the tiger looking back is best suited to those who are highly respected in the community. This Yant is one that demands a lot from the bearer. He or she must be a responsible and caring person and use their authority in a positive way. 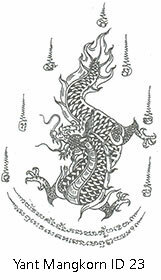 The dragon is indeed one of the most spectacular of the mythical beasts. Able to breathe fire to destroy its enemies, it is feared for its destructive powers. This Yant offers protection from physical harm and also from the bad influence of others. It also is said to bring the bearer good fortune and is popular among senior military or government officials. 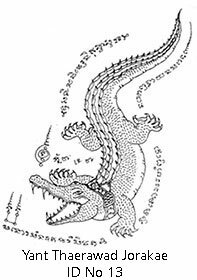 The crocodile is another Yant that signifies strength and power. The crocodile has been around for 50 million years so it also has tremendous endurance. Many boxers and members of the armed forces opt for this design as it offers protection from all types of danger so it is suitable for firemen or policeman or other risky occupations. The crocodile skin is very tough and therefore not easy to penetrate, so the crocodile Yant offers protection against knives or swords. This Yant is designed to aid the bearer in combat situations and it is very popular among Muay Thai fighters and soldiers. The legend of Nai Khanom Tom, a Muay Thai Boran specialist, defeated many Burmese soldiers in the 18th century. He apparently enchanted them with his Wai Kroo dance which gave him the element of surprise and he overcame them all. He was among a large group of soldiers, many who were Muay Thai Boran fighters that were captured during the fall of Ayuthaya in 1767. They were taken to a Burmese town called Ava where he stayed until 1774 when King Hsinbyushin ordered a lavish nine day festival. The festival was to celebrate some relics from Lord Buddha and involved singing and dancing continuously, coupled with traditional sword fighting and Burmese drama. There was also a boxing contest as the King wished to see how Muay Thai Boran would stand up to the Burmese style of combat. So Nai Khanom Tom was selected to fight the Burmese champion and he did his traditional Wai Kroo dance to pay respects to the teacher. The rhythm was enticing and before long everyone was mesmerized by his graceful movement, never having seen such a display. When the fight began, Nai Khanom Tom came out all guns firing, unleashing powerful punches and kicks at his bemused opponent until he rendered him unconscious. The crowd thought the Wai Kroo dance was a form of black magic and the victory was quashed. The King was impressed with what he saw so he asked Nai Khanom Tom if he would fight his nine other champions in order to prove his ability. Not only did he beat them all, he never took a break, felling them like trees, one after another. The King gave him his freedom, along with all the other boxer prisoners and also offered Nai Khanom Tom a choice, he could have two wives or riches. He chose the wives, saying that wealth was easier to find than a good woman so he took his new brides back to Thailand. In celebration of Nai Khnom Tom, March 17th of every year in Thailand is Muay Thai Boran Day. This Yant is considered dangerous as aggression can overcome the bearer. Some Sak Yant Masters will only give this Yant to Muay Thai fighters for fear of this. This is a popular Yant design. 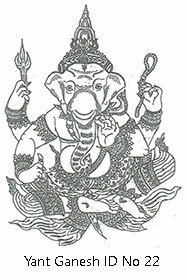 Ganesh, also known to Hindus as Vinayaka or Ganapati, has an elephant head. He has been worshipped for centuries in the Hindu religion. There are several versions of how Ganesh came to be, some believe that Ganesh was a child conceived by Shiva and Parvati while others say that the Goddess Parvati made Ganesh because she was unhappy because her husband, Shiva would not allow her any privacy. She breathed life into an effigy and called it Ganesh, her son, instructing him to block the path of anyone who tried to enter her chambers. Later when Shiva approached his house, he noticed the boy Ganesh and thought he was spying on his wife. Outraged, he produced a sword and lopped off Ganesh’s head. Parvati was heartbroken and ordered her husband to cut off the head of the first living thing he saw and attach it to Ganesh. It so happened that the first living thing Shiva encountered was an elephant. Another says that Ganesh was born by the elephant headed goddess Malini after she drank some of Parvati’s bath water. This design is popular with people connected to the arts such as singers, actors and musicians. 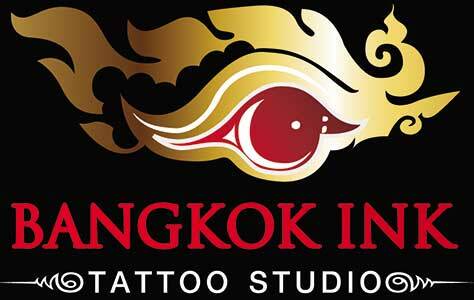 It is associated with material wealth and also guarding valuable assets.